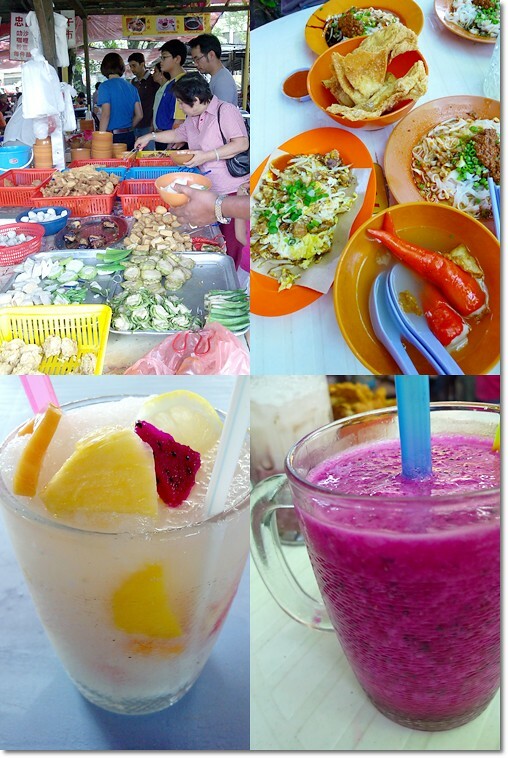 Ipoh is famous for its street food (or hawker food) more than the restaurants, cafes or bistros. Have your doubts? Stop casting them, and kindly allow me to bring you for a ride around town, for some of the most delicious and cheap street food in Ipoh. For one to seek hidden gems in the nooks and corners of Ipoh may take perseverance, guidance, and of course, a belly that’s most vacuumed. 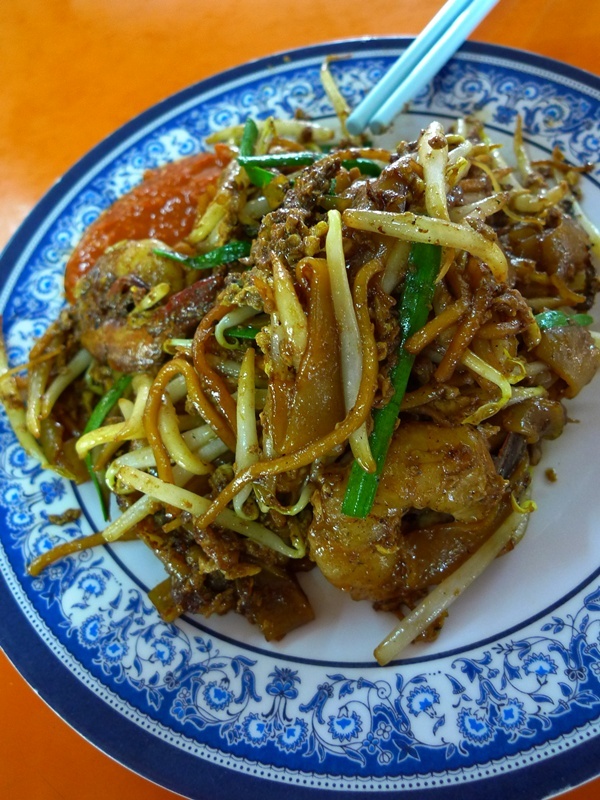 Though most of the signature Ipoh delicacies are few and far apart, some even requiring one to travel from one end to another (but rest assured the experience is way, WAY less stressful than food-hunting amidst the traffic in Klang Valley! ), there are a few places that serve an amazing array of hawker food, and some commendable ones to boot. Completely forgot about this place. This was the day after the Tao Autocity’s Japanese Buffet experience. Ages ago. So, pardon the missing minor details. Taiping has TWO very popular cendol stall. Bismillah Cendol (previous experience HERE), and Ansari Famous Cendol. Located VERY near to each other on Barrack’s Road though. Stiff competition always bring out the BEST in everyone? Thick, luscious and creamy concoction of sweet and milky broth, drizzled liberately with brown sugar syrup, and over-flowing (really!) with those cendol strips (green bean flour paste scented with pandan) and a choice of red beans or pulut, or both. RM1.00 for a plain bowl. RM1.10 for one with red beans. RM1.30 for a bowl with pulut. And the grand daddy of them all … RM1.40 for a bowl of everything. The refreshing experience? Priceless. So how does this fare, compared to Bismillah, and Penang Road’s Cendol? I’d rate this as an in-betweener. Better than the former, but a notch below by Penang Road’s Teochew Cendol (click HERE and gulp!). Battered. Bruised. And numb limbs aplenty. We arrived back in Mong Kok in the evening, and proceeded for an early dinner at Red Ant Restaurant, located on 220, Sai Yeung Choi Street South. Red Ant is famous for its baked rice with gravy, and countless other specialities and desserts, the selection was downright mind-boggling. Difficult to make a decision, we trusted the “Signature Icons” on the menu, indicating their best-sellers. 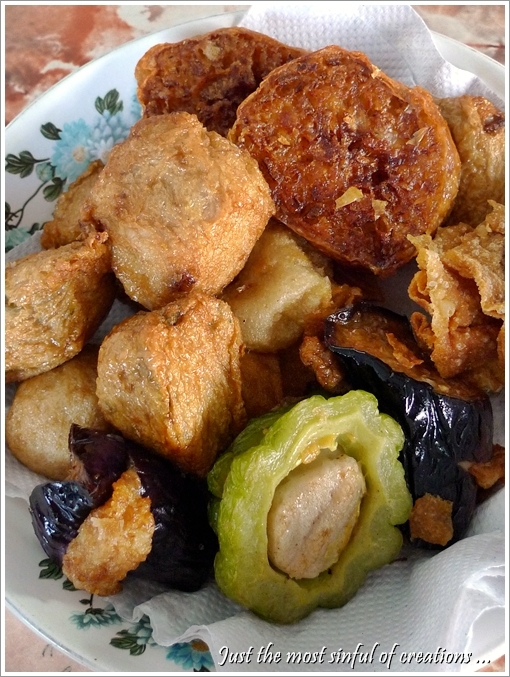 Big Tree Foot @ Pasir Pinji, Ipoh – Plateful of deliciously succulent and bouncy deep fried fish paste stuffed in various manners. The Famous BIG TREE FOOT …. years of cultivation led to a most fruitful shade? 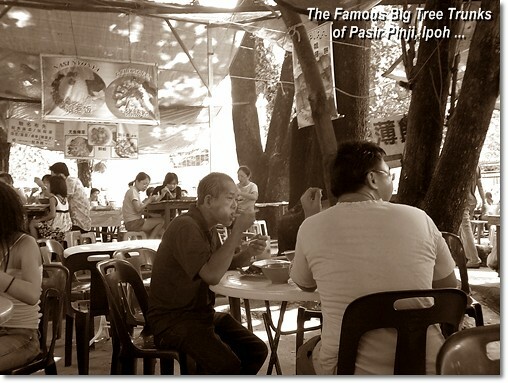 A popular spot for quick, cheap and satisfying lunch among the locals, tourists and even the blue collars, this stall coined as “Dai Shu Geok” literally translated as Big Tree Foot, is located behind Tuck Kee Restaurant in Pasir Pinji of Ipoh.